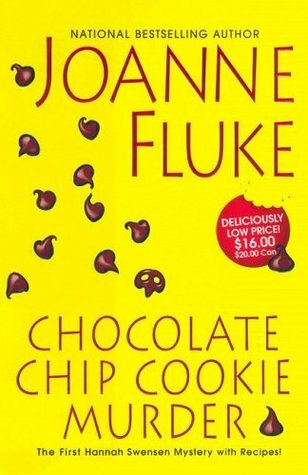 The Chocolate Chip Cookie Murder by Joanne Fluke has been on my “to-read” list for quite some time. Since I’m joining in 2016 Foodies Read, I decided to finally check it off the list. The story takes place in a small town in Minnesota at some undisclosed time period. Based on the descriptions, it sometimes felt like the 1950’s, but likely took place in more modern times (there are computers, but no mention of cell phones.) I have serious doubts as to whether the author actually grew up in Minnesota (as she claims) or not, because there are so many inaccuracies. It is so exaggerated that it’s more like someone read a book and watched a documentary about Minnesota and then randomly chose that as the setting for a novel. For example, at one point, Hannah, the main character, notes that she's dreading "winter season" when the sun comes up at 9 and sets at 4. Since the character also mentions that the setting is 50 miles away from Minneapolis, it's easy to see that this is wildly exaggerated. I happen to live even further north and even on the shortest day of the year, the sun rises at 8:15 and set at 4:30 (it's more like 8 & 4:30 in the Minneapolis area). Now, it seems like I'm being unnecessarily picky here, but it's not the only inaccuracy, it's just the only one I remember. It's glaring. The main character, Hannah, owns a bakery & coffee shop called the Cookie Jar. When someone is murdered in the alley outside her bakery, Hannah takes it upon herself to investigate the murder. Lucky for her, all of the townspeople, including law enforcement are completely inept. They happily share all of their secrets with Hannah, while being none the wiser to the fact that she’s investigating the murder. Hannah herself is described as 29 years old, but her clunky dialogue and inner monologues make her seem at least double that. I honestly had to flip back to the beginning to check her age – I was beginning to picture a 60-something year old woman instead of a 20-something. She bumbles her way through the “investigation” like it’s a fun little game. I just didn’t like the premise. I don’t like it when random characters go out and play detective. I’ve pretty much covered it here, but you can also read my full review on GoodReads. Instead, I was intrigued by Hannah coffee-making method. She makes what google has told me is Swedish Egg Coffee, also called Scandinavian Coffee, Hungarian Coffee, or Church Basement Coffee. Looking back, the mere fact that’s it’s known as Church Basement Coffee should have set off a whole load of warning bells and red flags. Yet, I was still intrigued. I found a recipe and got to work. It starts by smashing an egg, shell and all. Then mixing in coffee grounds and a pinch of salt to form a slurry. Next, the slurry is dumped into a pot of boiling water. It’s boiled for a few minutes, then ice water joins the party to get the toxic waste solids to drop to the bottom of the pan. The solids are strained out and you’re meant to have the most glorious coffee ever tasted. First, after straining, you are left with toxic waste that looks like cat vomit. Now, admittedly, I don’t have a cat. But if I did and it puked, I’m pretty sure that’s what it would look like. It was vile. So I poured my coffee into a pretty little cup. And I hesitated. How would it taste? I still had visions cat-vomit sludge in my brain – ew. I took my first tentative sip. 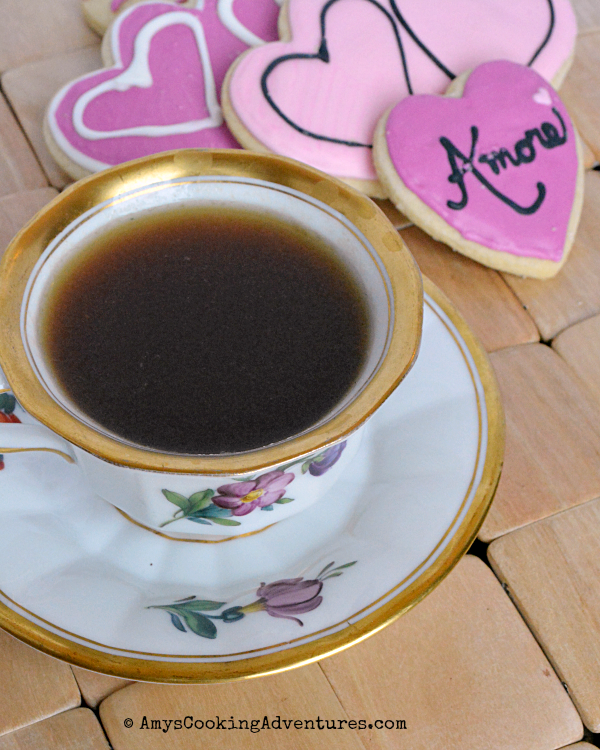 Hmmm… due to the ice water and my hesitation I had lukewarm, rather watery coffee. A second sip…Still not sure. What is that flavor I’m tasting? Is it the egg? I’m not so sure about this. Sip number three. Eggshell. I am tasting eggshell. Eggshell and cat puke sludge. I spit it in the sink and dumped the rest of the cup. So, the lesson here is that something called “Church Basement Coffee” should stay in the church basement. And even that’s not really fair. 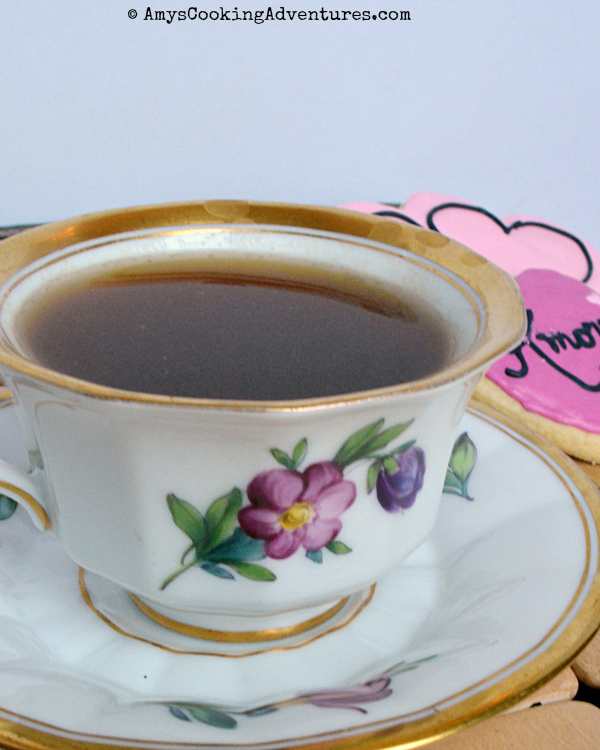 This is far worse than church coffee (I didn’t even think that was possible!) Swedish Egg Coffee is literally watery coffee with a hint of eggshell with a cat vomit sludge by-product. I’m sorry for saying cat vomit so much. I think it scarred me for life. I am soooo glad you read this book because otherwise we would never have gotten this post that makes us laugh out loud at you drinking cat puke coffee. Too funny Amy.